Last month, the National Young Farmers Coalition released Conservation 2.0: How Land Trusts Can Save America’s Working Farms. The report finds that a primary threat to new farmers is acquisition of protected farmland by non-farmers who allow it to go fallow. To gather research for the study, the NYFC interviewed 200 U.S. land trust leaders. One-quarter of those surveyed said they have witnessed a decline in production at conserved farms resulting from non-farmers purchasing land at prices with which farmers cannot compete. 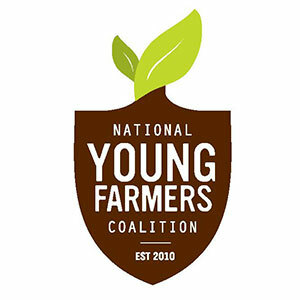 Founded by three farmers in New York’s Hudson Valley who struggled to find reasonably priced land, NYFC is an organization dedicated to supporting new farmers through education, networking, and advocacy. NYFC published the study to document the problem and educate the land trust community on the availability of better conservation tools to combat the issue. Shute acknowledges that traditional conservation easements do keep malls and new subdivisions off prime farmland, but points out such easements do nothing to keep the land in agricultural use. “Non-farmers lease land to farmers, but generally do so on a short-term basis which has many disadvantages from the perspective of organic agriculture and farms that require significant investment in infrastructure,” she says. According to the study, few land trusts are actively taking measures to ensure farmers are connected to land trusts holding conservation easements or owners of conserved farmland. More than two thirds of land trusts reported they are not using conservation easements to keep the land in production. The report points to innovative conservation methods and easement models in Vermont, Massachusetts and New York that ensure affordable land for farmers near urban markets. These tools include working directly with farmers as conservation buyers and adding language to traditional conservation easements to promote or require continuing farming activity on protected properties. Such additions can include “affirmative agricultural production” language requiring the land to be farmed (and may include prescribed production methods such as organic farming), and “option to purchase at agricultural value” language requiring the farmland to be sold only to another farmer at agricultural value. Equity Trust is a non-profit organization dedicated to helping communities to gain ownership interests in land and other local resources through a revolving loan fund capitalized by gifts and loans. The fund makes low-interest loans to farmers, cooperatives, land trusts, and other nonprofits that promote access to land, housing and sustainable economic development. Shute points out that land access is a particularly challenging issue to take on because there are few policy mechanisms that can make a difference for farmers. Finding land is a local issue, which is why NYFC chose to focus on the groups that are in the field working with landowners—America’s land trusts. The hope is that land trusts will take ownership of the challenge of land access for new farmers and will work to incorporate new ideas into their conservation practices. New farmers’ success not only depends on land trusts, but also on public funding, according to the report. The key, according to the study, is to ensure that the money goes to protecting both farmland and supporting new farmers.